Ty Mawr secures BSI Mark!!! When procuring your products, for peace of mind, look for the BSi Mark! It’s been a busy week here at Ty Mawr, with builders getting busier, so are our sales, warehouse and production teams whilst we have also been involved in CPD, another full two day course and undertaken a three day audit by the British Standards Institute ! 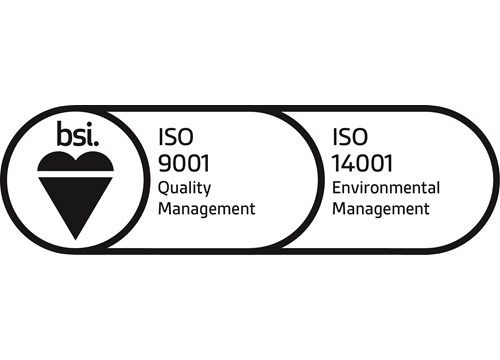 We are delighted to announce that we have successfully transitioned to the new ISO9001:2015 Quality Management System Standard and achieved our re-certification for our Environmental Management System ISO14001:2015. The Environmental Management System standard (ISO14001), was the world’s first international environmental standard, helping thousands of organisations to improve their environmental, sustainability and operational performance. Companies, organisations and society have a global responsibility to grow without compromising resources for future generations and the ISO 14001 standard helps them to demonstrate that they are doing just that. ISO 9001 is the internationally recognised Quality Management System (QMS) standard which demonstrates continual improvement, streamlining of operations, commitment to customer satisfaction, company resilience, sustainable business, strong corporate governance and that we work effectively with stakeholders and our supply chain. Joyce Gervis, Managing Director said “We are extremely proud to have gained our re-certification for another three years and to have fully transitioned to the new quality standard, it takes a huge commitment from management and staff throughout the year to ensure that established procedures are controlled and monitored and through the process of management review are continually reviewed and improved to ensure that we operate efficiently, legally, safely etc with care for not only the quality of our services and products but also of our staff and communities too. This is a huge undertaking and significant achievement for a small business. In an increasingly competitive market place, our clients can also be assured through our 14001 that we are committed to the environment and to reducing our own environmental impact, the standard helps to reassure them that, as a company, it is an absolute priority for us to work within environmental legislation and to continually work to care for the environment and reduce our own environmental impact”. In this day and age where so much is available on-line, from faceless organisation and where there is so much ‘greenwash’ about products and impacts, BSI accreditation sets us apart showing that we are a compliant and responsible business working towards delivering the best product and service that we can, so we are very proud to carry the standard and very grateful to our hard working team for their continued support in ensuring we meet the requirements year on year. Our policies can be seen here - but if you would like to know more, please do not hesitate to contact us on 01874 611 350 or email tymawr@lime.org.uk to learn more!